But while that New Testament passage contains but two words, it is long in meaning and significance. Readers gain a glimpse of divine emotion and a deeper understanding of the Savior’s compassion and love. Emotions, of course, play an essential role in the Standard Works. According to curators of the Brigham Young University exhibition aptly titled “Jesus Wept: Emotions in the Scriptures,” 127 emotion words and their various conjugations appear 9,685 times across a total of 7,238 verses. One in six verses across Mormon scripture contain at least one emotion word. Emotions are often dismissed in today’s culture. They are something to be contained and held within. But as noted in the exhibition, they are an integral element of the human and divine experience. Emotions punctuate the mortal experience and add texture and depth to everyday lives. They are universal and felt across time and space. 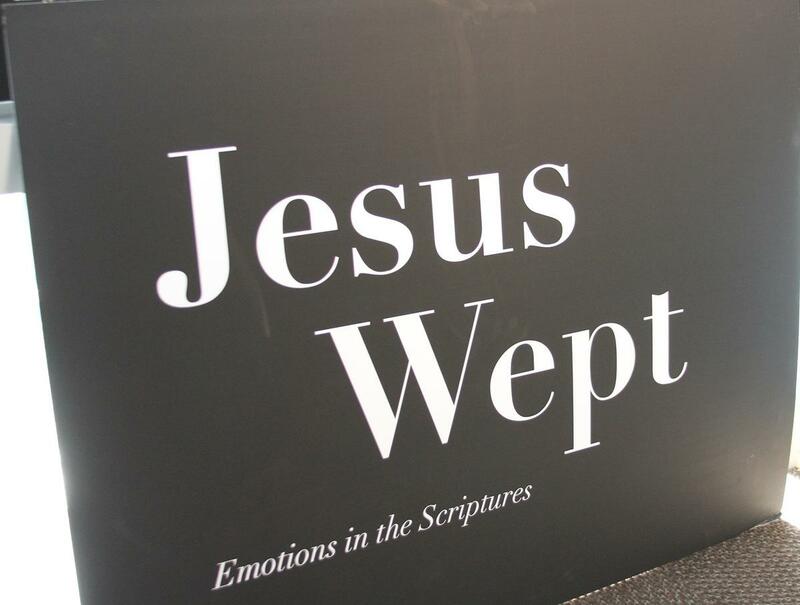 “Jesus Wept: Emotions in the Scriptures” is on display in the third floor gallery of BYU’s Joseph F. Smith Building. The exhibition is contained in a single room — but there’s much to see. One wall display presents statistical evidence of just how much emotions help define the scriptures. The Book of Mormon, for example, has the highest percentage of emotion words in the Standard Works, followed by the New Testament. The 10 most frequent emotion words found across the Standard Works? In descending order — love, fear, desire, anger, peace, rejoice, joy, wrath, please and hate. How did the author reach the conclusion that emotions are dismissed? Anyone who pays attention to the culture at large can see that's not the case. Not that our culture wouldn't improve from a healthy dose of stoicism. Our culture is seeped in emotions, outrage, trigger warnings, and safe spaces for when our feelings are hurt. Give me suppressed emotions any day. It is clear that our Savior experienced the full range of human emotions. Some LDS people seem to be hesitant to experience emotions that they consider negative. What we do as a result of feelings is important. But my own experience suggests that experiencing them is an important part of good mental hygiene.